Proud as hell to be working with leah suarez and the jazz artists of charleston. 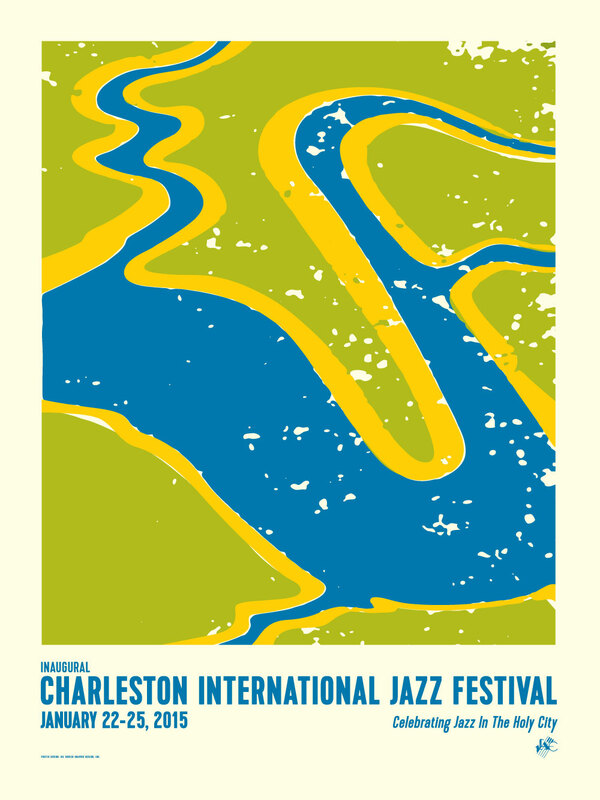 after working this past year with leah on the jazz season posters, she asked if i would create a poster for the inaugural charleston international jazz festival. this poster is going to be on sale during the festival. it is being silk screened by the great half & half, it will be 18 x 24 on a nice uncoated heavy stock. hand signed and numbered by me, there is a limited amount and i hope some of you will purchase one or two. go to the JAC website and details about the festival – it is the beginning of great things to come. hell yeah!